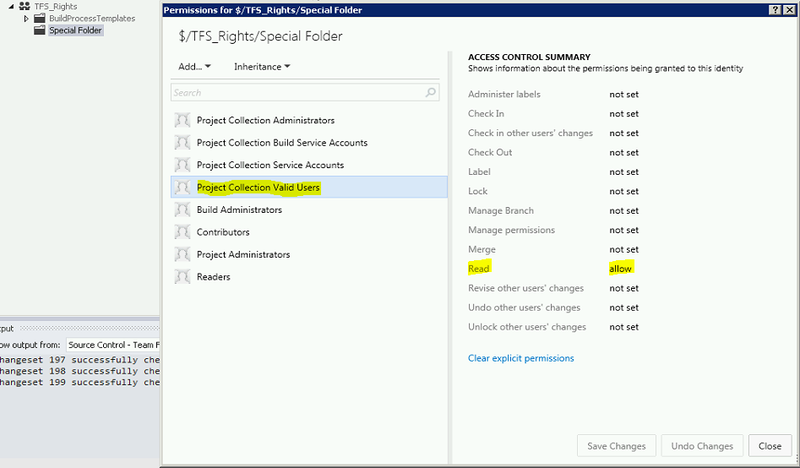 Recently I wanted to give everyone who has access to TFS [Read] permissions to a specific folder in Source Control. When going through the Security settings I came across an interesting group [Project Collection Valid Users]. It contains all the team projects valid users. Sounds just like what i need. 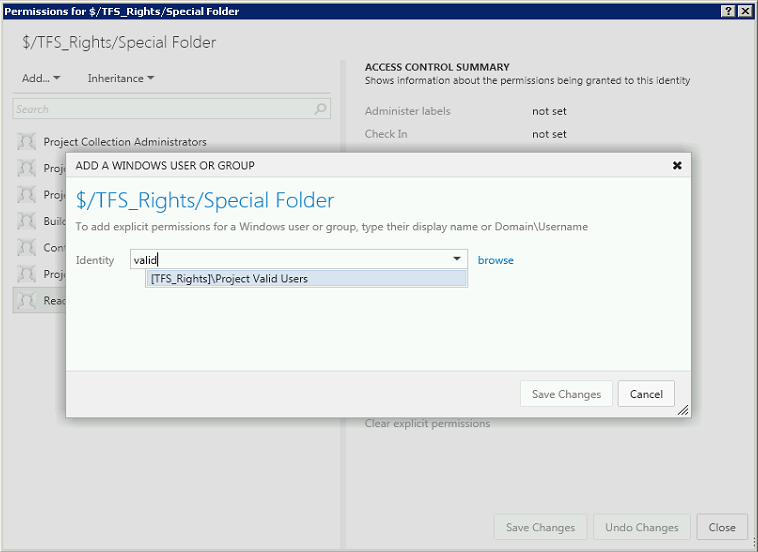 I fired up Source Control Explorer from VS 2012 and navigated to the Special folder under the TFS_Rights Team Project. I clicked [Advanced/Security] from the context menu. That fired up the Web Access client for the Team Project. I navigated to the Readers group to see if there was an option to add the [Project Collection Valid Users] group to it. Unfortunately that group is not available to add through the user interface. So what to do next? 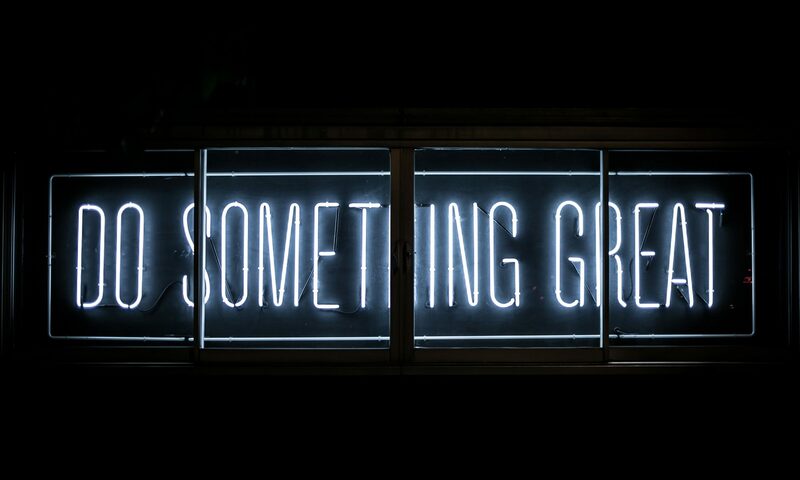 Create a new TFS group and add all the users and keep it up to date? Possible but i there might be a way out….. TFSSecurity to the rescue! Running the following command will actually add [Project Collection Valid Users] to the Specific folder. Executing this command will give you confirmation that it was successful. Voila! It’s all there! Mission accomplished!